Washington (CNN) President Donald Trump accidentally referred to the US Virgin Islands’ governor as their President during a speech Friday — even though he is technically their President. 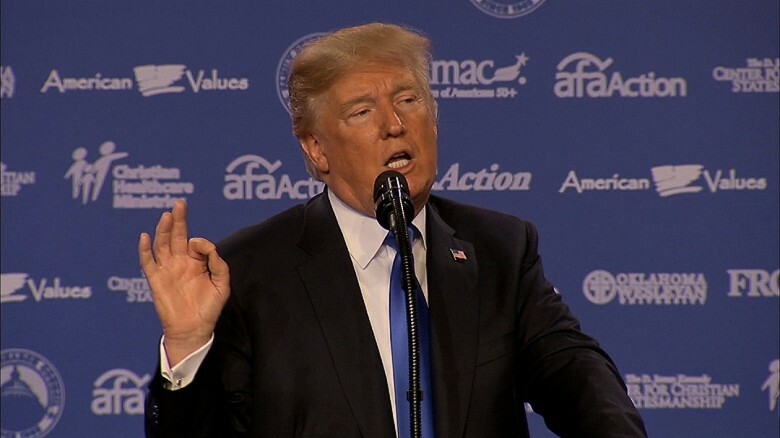 “I will tell you I left Texas and I left Florida and I left Louisiana and I went to Puerto Rico and I met with the President of the Virgin Islands,” he told the audience of the Values Voter Summit in Washington. Trump appeared to be referring to Virgin Islands Gov. Kenneth Mapp, instead of the “President” who is Trump himself. The Virgin Islands is a US territory. He was referring to how the US Virgin Islands was hit first by Hurricane Irma, then Hurricane Maria, which ravaged the island.